I posted this on the Montage blog the other day. A number of readers suggested that because the images looked spectacular, I should repost on Astronomy Computing Today. The Pillars of Creation in the Eagle Nebula (M16) remain one of the iconic images of the Hubble Space Telescope. Three pillars rise from a molecular cloud into an enormous HII region, powered by the massive young cluster NGC 6611. Such pillars are common in regions of massive star formation, where they form as a result of ionization and stellar winds. The authors confirmed the pillar tips are being ionized and photo-evaporated by the massive members of NGC 6611. 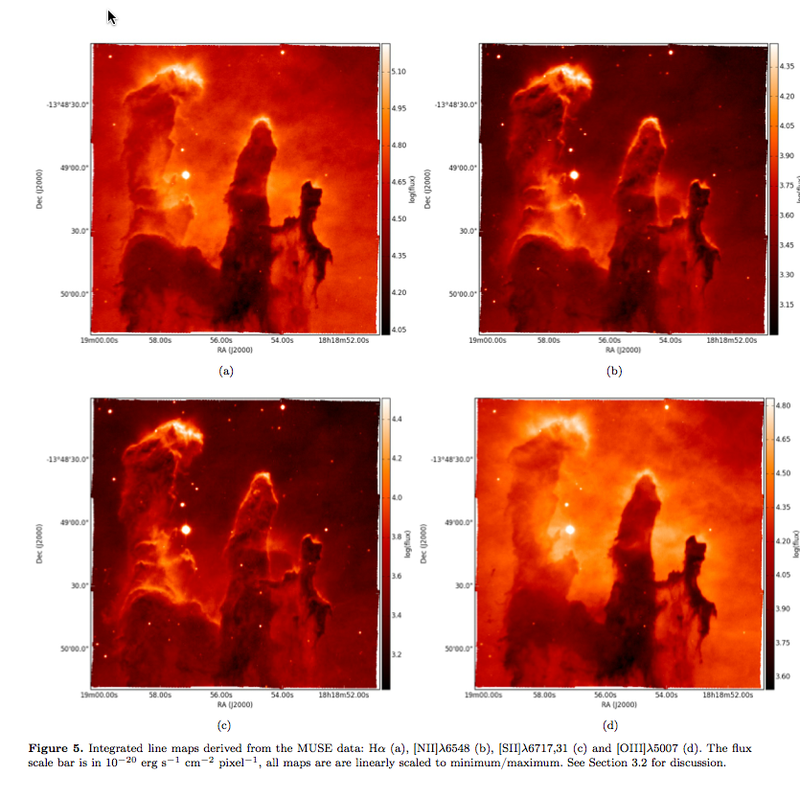 They found a new bipolar outflow at the tip of the middle pillar and proposed that an embedded protostar is driving it. With the physical parameters and ionic abundances derived from the spectroscopic study, they estimated a mass loss rate due to photo-evaporation of 70 M⊙/Myr, which implies that these structures can expect to have a lifetime of 3 Myr.